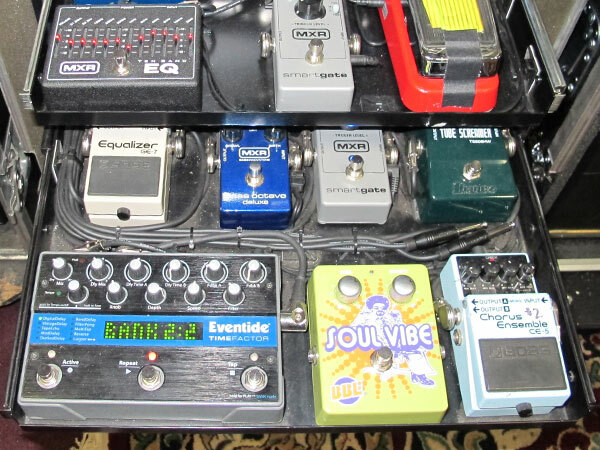 It's no secret that Alice In Chains guitarist Jerry Cantrell is a G&L fanatic. 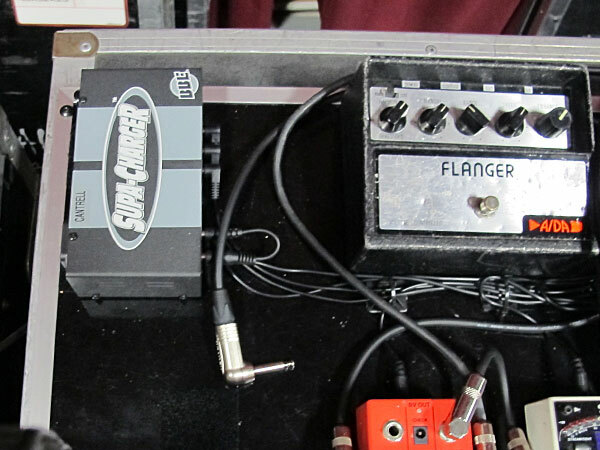 You can catch him onstage any night with his Rampage®, Superhawk™ or ASAT® G&L models, but did you know he is a BBE sound Stompbox enthusiast as well? 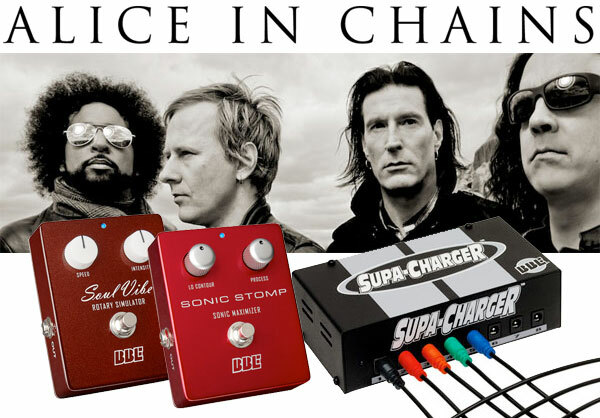 We took these up-close and personal photos of Jerry's rig during rehearsals for the current Alice In Chains tour and spotted a Supa-Charger™ power supply, a Soul Vibe™, and a Sonic Stomp™. Catch Jerry with his G&L and BBE gear on the current Alice In Chains tour in a city near you! Visit www.aliceinchains.com for a complete list of dates.